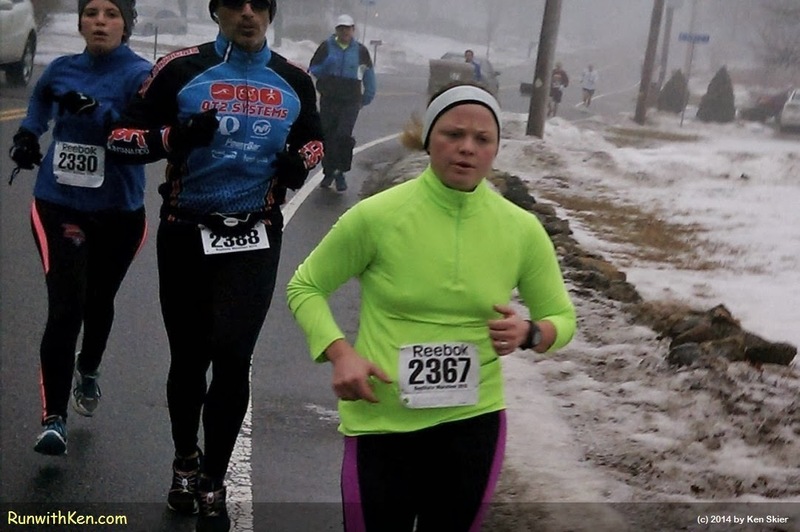 On a murky morning in mid-January...we RUN! At the Fudgcicle 5K in Tewksbury, MA. Runners don't wait for a sunny day. we ran on wet roads. The sky was the color of a dirty sponge.